This light colored rosewood mala has a beautiful brown horn bead at the top, with swirling green and gold marker beads at the 21st spots and carved carnelian beads, too. Brass toned findings surround the marker beads. 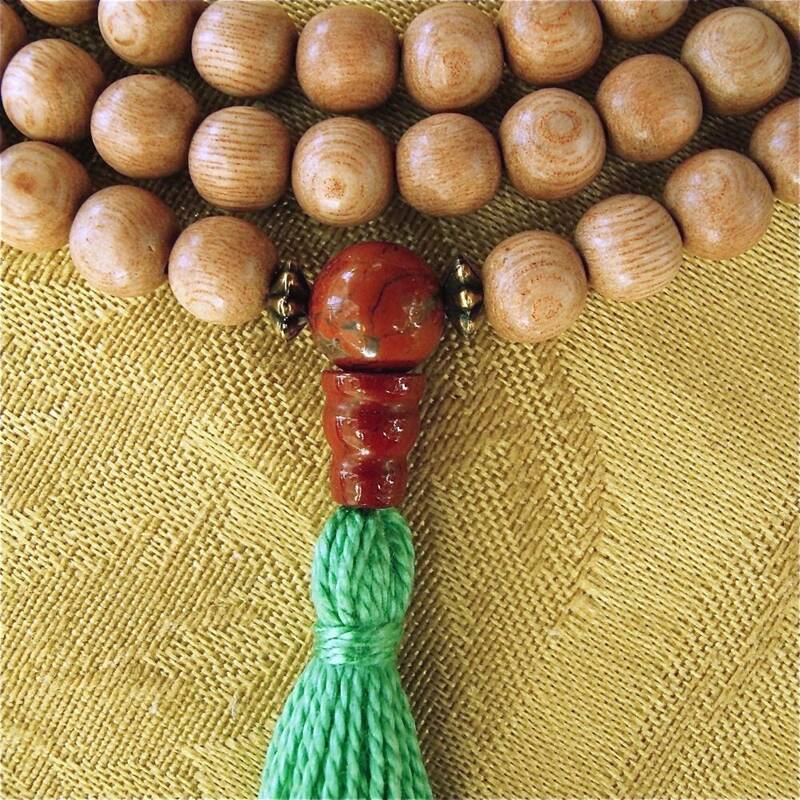 It is strung with love and prayer on very flexible, strong nylon-coated beading wire and finished with a traditional, three-holed red jasper guru bead and handmade green cotton tassel. It will coil and pile as if it were strung on silk cord. 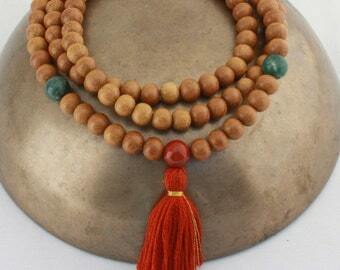 Comes with a letter about the materials and malas, nestled in a gift box with silver cord. About 19 inches or 48 cm long from top bead to tassel's bottom.